A wonderful Emmaus agape gift, this booklet was put together by pilgrims for pilgrims. Each of the 60 undated meditations elaborates on one of the 15 themes you heard during your weekend. 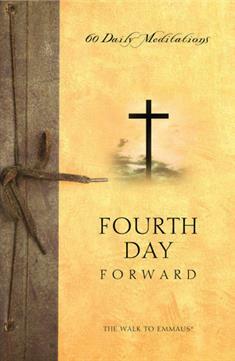 As you read, your spirit will be nourished on your Fourth Day. You will be encouraged in your daily discipleship. You will find yourself drawing closer to Christ, participating faithfully in your congregation, and living as a Christian on mission to your community and the rest of the world.